Easily the best Tumblr design ever made to date. 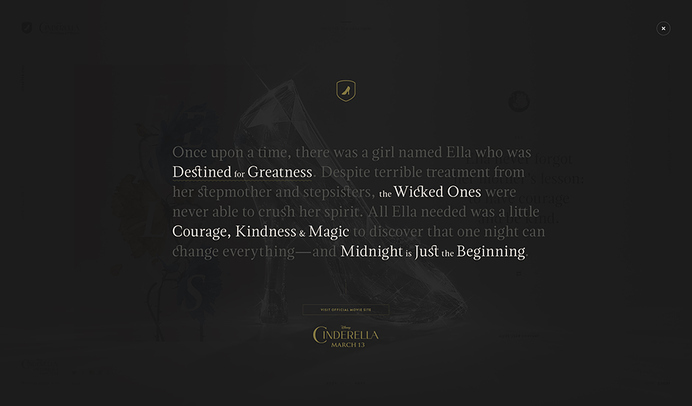 Cinderella Past Midnight combines original illustrations, typography, and copywriting, movie moment GIF sets, and images from the film to create an exciting and grand aesthetic that mirrors the themes of kindness, courage, and a little bit of magic. 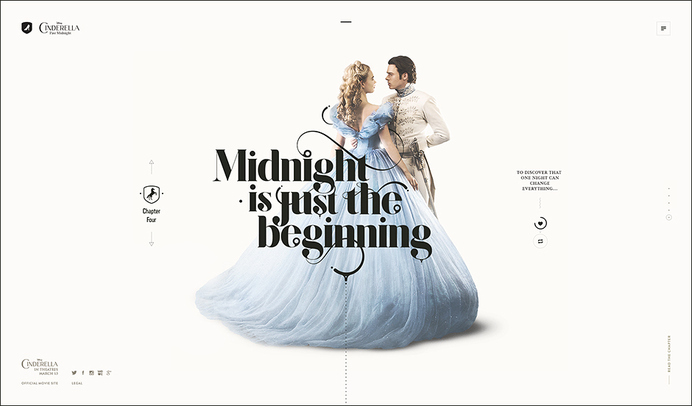 Cinderella Past Midnight breaks down Cinderella’s story from childhood to becoming a Princess into a digestible and interactive user experience. 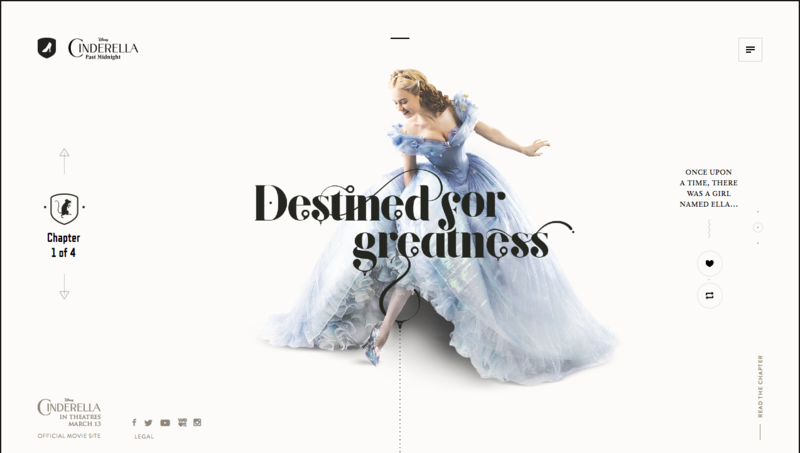 The site moves with fluidity and encompasses grand animations eluding to the nostalgia of actually turning the page of this unforgettable fairy-tale. 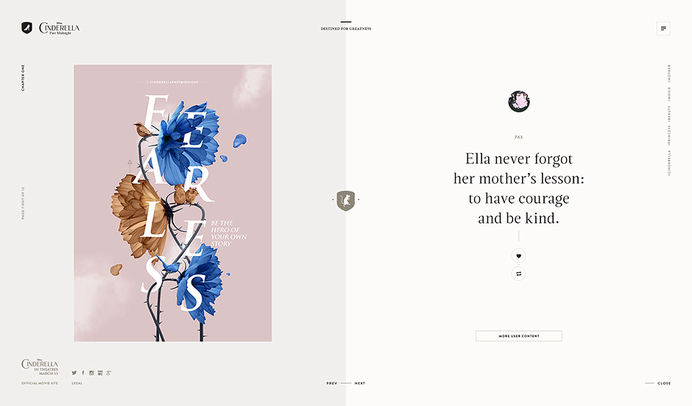 The audience is encouraged to participate in her struggle as well as her victory by sharing custom artwork, memes, and GIFs of favorite moments in the film across various social platforms. 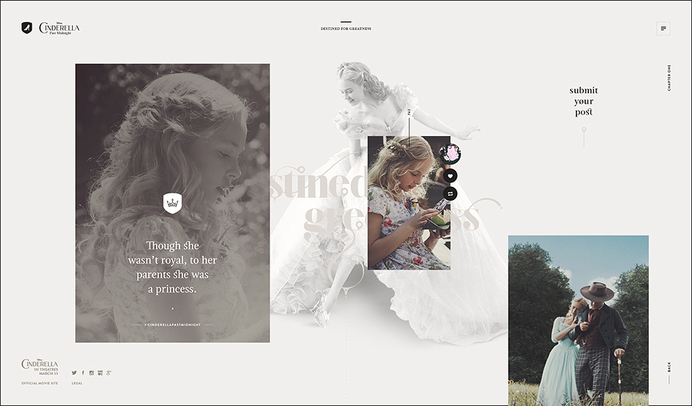 By incorporating the Tumblr native submission tool – users are also invited to share their own Cinderella inspired creations– to be featured on the site.